Submitted 9 months 5 days ago by Inked47. 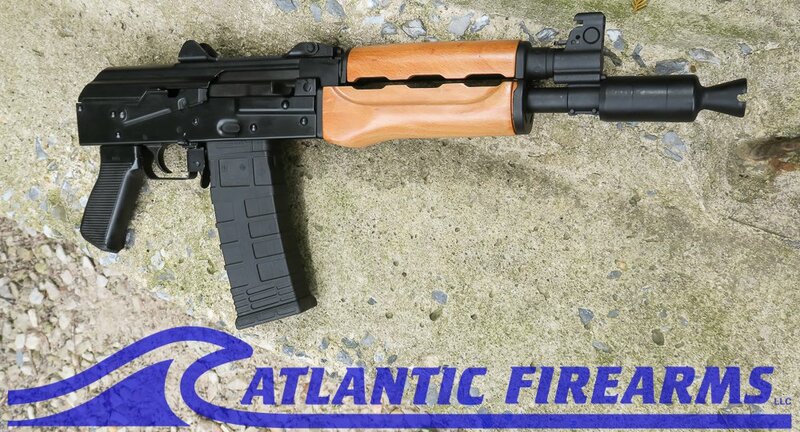 M85 AK Pistol Image Description Krinkov M85 5.56/223 AK Pistol, semi auto AK47 Pistol with Wood hand guards. These are a great choice for a Short Barreled Rifle project or to run a pistol stabilizing brace & chambered in the popular 556/223 round .